All of the techniques necessary for capturing the sleek beauty and strength of dolphins and whales in wood are presented here. 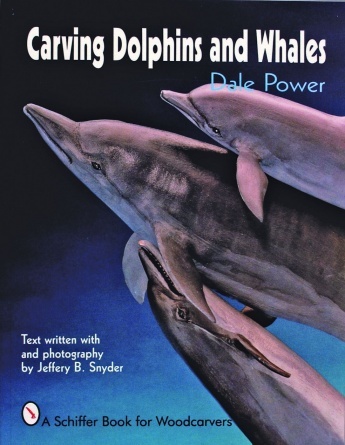 In direct and basic language and color photographs Dale Power takes the carver through each step in the process of creating a dolphin from basswood with a combination of hand and power tools. Once the dolphin is carved woodburning and painting techniques are explored in detail to add life to the work. Helpful hints for mounting the finished work are included as well. Patterns for three dolphins and two whales are provided as well as a color gallery showing a variety of dolphins and whales in groupings which are sure to inspire.